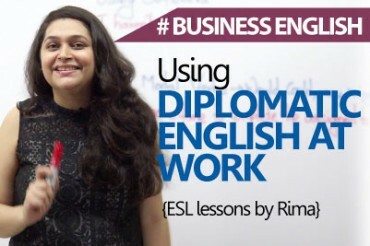 In this English lesson by Rima, you will learn 9 important tips to ace your next job interview. If you want to ace your job interview .. the first important step is to line up interviews with potential employers. This can be achieved by making a list of companies/employers that you are keen to work with and then getting in touch with them ; requesting for an interview.The more the number of employers you reach out to …the more the chances you have of getting called for interviews. Now , this is a very important step ..your Resume’ is like introducing yourself to your potential employer . So, make sure your Resume’ is solid, crisp , to the point and it highlights all your positive attributes and strengths . So Rock the resume’ to get the employer excited about meeting you ! 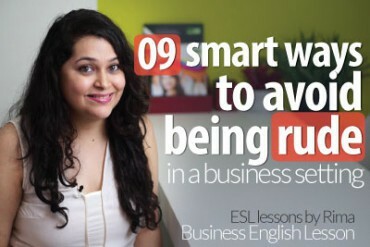 Its important that you come across as well prepared & knowledgable in your job interview ..the only way to make this happen is to prepare well , and well in advance. Read up about the company /employer you are interviewing with; make yourself familiar with their goals, ideology etc.Also read up on the latest news in your industry ; this will help you during discussions. First impressions are said to last a lifetime ; make sure yours is positive ! Make sure you reach on time for your interview ; you are well dressed, well groomed and your appearance is pleasing .Be careful about your body language , make sure your appear alert , interested and confident . 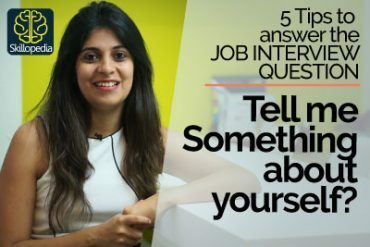 In every interview there are certain “tough” questions that are thrown at you by the interviewer. Make sure you anticipate these questions well in advance as part of your preparation.Make a list of questions that may be tough or uncomfortable for you to answer ; prepare positive answers for these questions and practice answering them confidently . Its important that you ask the employer a few questions too .. you can ask relevant questions about things such as the details of your role , the vision of the company ,etc. Asking such questions makes you appear intelligent , interested and earnest and makes a positive impression. Its important to talk about your good qualities , strong points and bring them to your interviewer’s notice . At the same time its important to do this without appearing boastful or over confident ; It is important to talk confidently without sounding too full of yourself or arrogant. After the interview is over ; the next important step is to follow up with the interviewer/company regarding their decision about whether or not to employ you. Follow up can be done through email, text message , a phone call or even a handwritten note or letter . One can also start with a thank you note or message and then go on to find out the outcome of the interview . Its important to do this without appearing too desperate, aggressive or like a stalker who keeps calling or messaging too often . It is possible that you may have done well in your interview but you may still not get hired…do not lose hope , stay positive . If possible get in touch with the interviewer and find out their reasons for rejecting you .Take the feedback in a positive stride and work on it. Start once again from the first step and work towards lining up more interviews…remember there is always another opportunity waiting for you! Previous Previous post: Baby Animals names in English. Rima is a wonderful presenter. Full of enthusiasm & emotion.